Washington’s strategic rebalance toward the Asia-Pacific is “real” as it has been manifested in its decisions to deploy more advanced naval assets, including three stealth destroyers to the region, a top U.S. Navy official said Tuesday. In an interview in Seoul, U.S. Secretary of the Navy Ray Mabus also noted that Adm. Harry Harris, nominee for Pacific Command commander, wants to implement the new warfighting concept, called AirSea Battle, to deal with evolving security challenges in the region. “One of the things that our president said and we are doing is this rebalance toward the Pacific. One of the things I am proud of is we are growing our fleet. We are growing not only the numbers, but capabilities of our fleet,” said Mabus, who arrived here on Sunday for a four-day visit to underscore the U.S. security commitment here. His remarks as skepticism has lingered over the U.S. pivot toward Asia. The skepticism has stemmed from continuing financial challenges facing the U.S. and a series of security issues such as the Iranian nuclear conundrum and the continuing fight against Islamic extremists. Maybus, who has led the U.S. Navy and Marine Corps since 2009, listed a series of new naval assets that have already been deployed or will be deployed, while reaffirming the U.S. security commitment to this region. The assets include eight ballistic missile defense destroyers to be deployed to Japan through 2017; four littoral combat ships to be deployed to Singapore by 2017; P8 antisubmarine, surveillance aircraft to Japan; an amphibious ready group; the marine squadron of F-35s to Japan; and three DDG-1000 Zumwalt stealth destroyers. Touching on the evolving security challenges in the region including those from China’s coastal artillery and missile capabilities, Mabus hinted that the AirSea Battle concept could emerge as a centerpiece of the military operations for the Pacific Command. “Worlds are always going to be changing. Threats are always going to change. It is always a race between capabilities,” he said. The U.S. has been developing the new operational concept to stop potential adversaries’ military capabilities from blocking its access to operational areas or its action within those areas. The capabilities are called “anti-access/area-denial (A2AD)” capabilities or threats. Employing the concept, the U.S. seeks to create a joint force capable of effectively handling security threats across all domains ― air, land, sea, space and cyberspace ― so that its armed services can better counter the A2AD challenges. China has perceived itself to be a target of the AirSea Battle concept, as it poses the greatest A2AD threats through cruise and ballistic missiles, bombers and other advanced weapons with longer ranges and greater lethality, accuracy and ability to remain operational after engagement. AirSea Battle is comparable to the successful “AirLand Battle” concept that formed the basis of the U.S.’ war-fighting doctrine to contain enemy forces in the 1980s and 1990s. It focused on close coordination between land forces and air forces attacking nonfrontline troops supporting the forward-deployed ones. Asked about his assessment of Pyongyang’s reported development of the submarine-launched ballistic missile, the Navy secretary stressed the importance of the allies’ ballistic missile defense systems, their interoperability and sufficient exercises. “Any sort of ballistic missile threat or capability of North Korea is potentially very dangerous. I think regardless of where they originate, we have to be prepared,” he said. 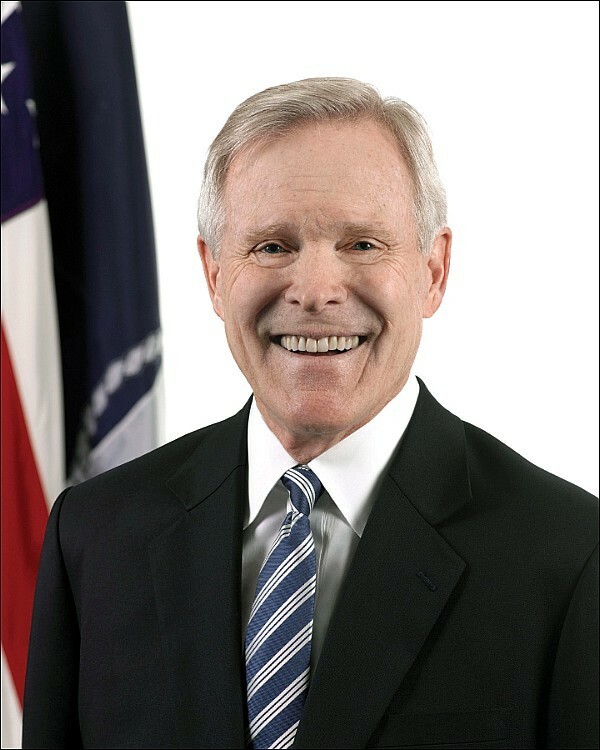 Touching on the concerns over the possible delay in the dispatch of U.S. marines to the peninsula in the event of a contingency, Mabus said that in a crisis situation, Korea and Japan, despite their strained diplomatic ties, may work together to tide it over. The concerns were raised after Japanese Prime Minister Shinzo Abe said during a parliamentary session in July that the U.S. might need consent or consultations from Tokyo for the wartime dispatch to the peninsula of its marines in Japan. “I think that the common threat to the Republic of Korea, Japan and the U.S. is so serious and so close that that danger and response to it would be the thing that would have to override everything else,” said Mabus.